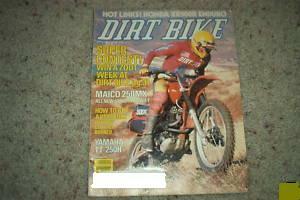 Need left side radiator for a 1989 cr125r Honda, new or in excellent condition. 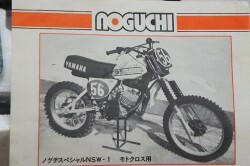 wanted:Noguchi Yamaha watercooled kit for the 1978-1980 yz125 yamaha! 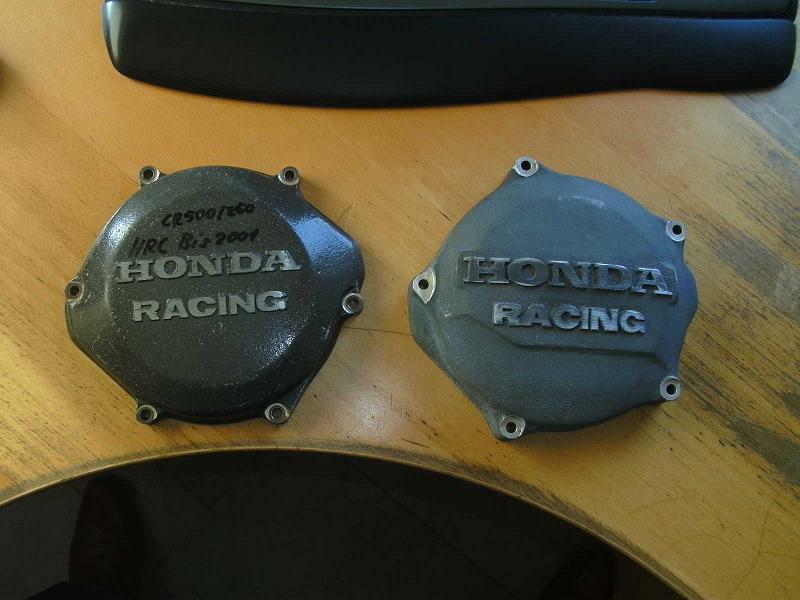 for sale brand new NOS HRC sand casted clutch cover for 1986 cr125! same model as standard , only this one is complete sand casted! also for sale 1982 mugen me125 head, in verry nice shape . i wil ship world wide, and use paypal only! Im looking for parts can you help hrc shock for 92 cr, flywheel and cdi etc, crank, alloy subframe, Thanks john. no pitting in the dome , plating is good. comes with powervalve and used piston. wil ship world wide and use paypal. 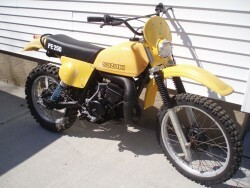 1979 YZ 400F bottom end (2X5) For Sale with no chain damage, rod bottom end feels smooth and tight, not discolored, sidecovers and clutch included. 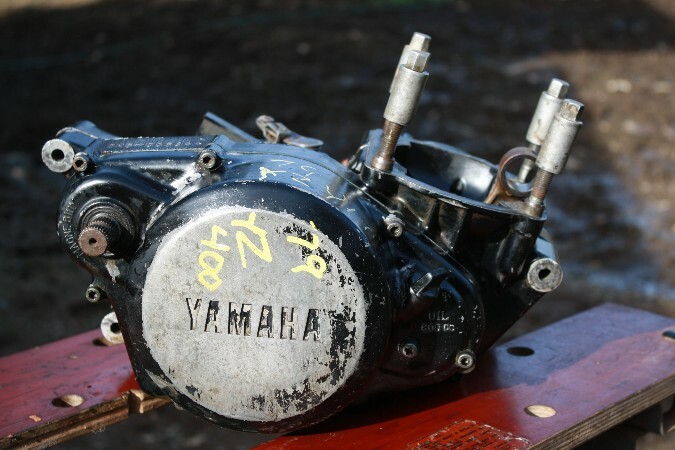 This was a complete engine and the guy I got it from already sold the piston, barrel & head. There's no electrics. I bought it when I was out of town and realized my project is a 1978 400E when I got home. It looks like low hours engine. No guarantees. I paid $250. For Sale PRICE REDUCED!! $200 plus you pick-up, pay shipping, or possible I will deliver in SW Oregon. 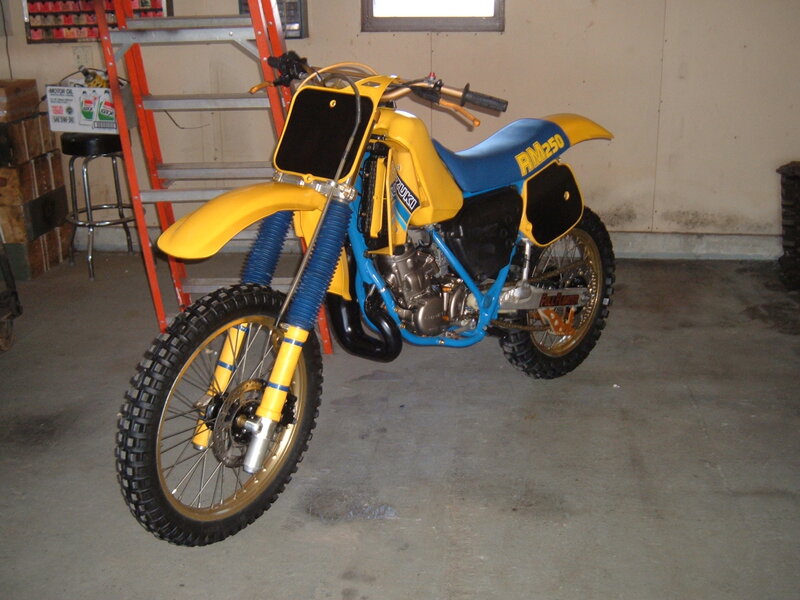 If you own a 1979 YZ 400, you know this was a one year only model, nothing else fits and the enine in this shape is very hard to find. May fit IT400 but different gearing. 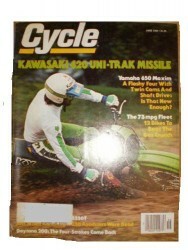 DIRT BIKE, April 1981, Full Cover, Hot Links! Honda XR500R Enduro Super Contest! Win a Zoot Week at Dirt Bike, Maico 250MX ALl New Smooth & Swift, How to Buy a Used Bike Without Getting Burned, Yamaha TT250H,TT500H and the KTM 250 WR. $11. 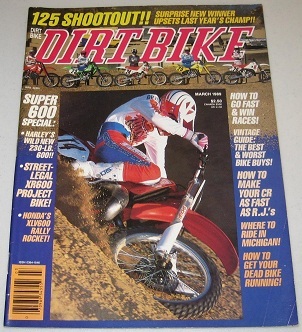 DIRT BIKE, March 1989, Full Cover, 125 Shootout!! Surprise New Winner Upsets Last Year's Champ!! How to go Fast & Win Races! Vintage Guide: The Best & Worst Bike BUys! How to Make Your CR As Fast AS RJ's, Where to Ride in Michigan! How to Get Your Dead Bike RUnning! SUPER 600 Special: Harley's Wild New 230 lb 600!! 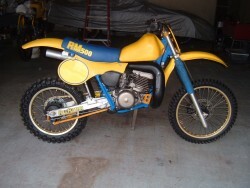 Street Legal XR500 Project Bike! Honda's XLV600 Rally Rocket! $8. 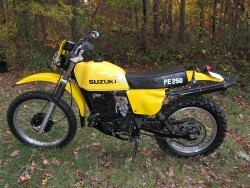 Ttime has come for me to put my 1977 Suzuki PE250B up for sale. Responsibilities of parenthood don't allow me the time or space to keep it. 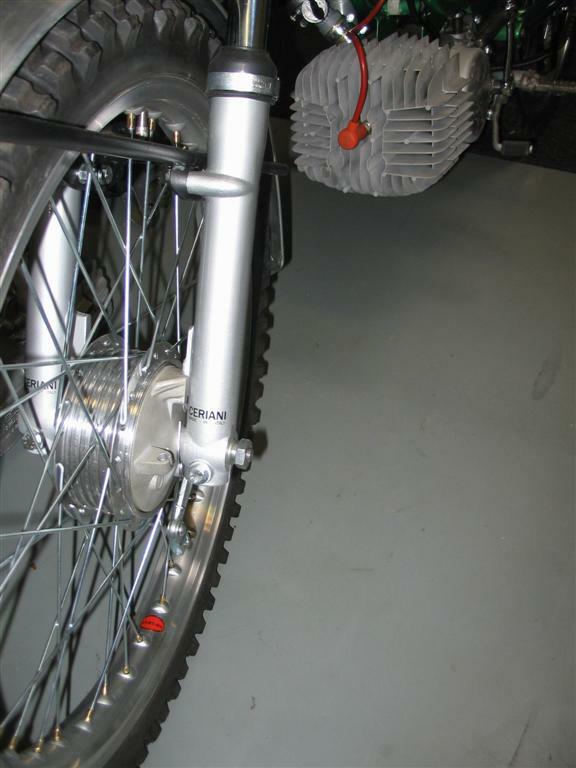 The bike is in ready-to-ride condition and comes with an abundance of extras. 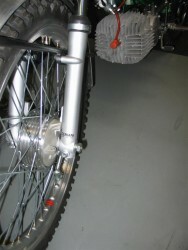 The bike came from the state of Washington and it was titled for street use in 1977. I took a bunch of pictures of the bike and parts. You can view them in this photo album. Note: I took pictures with and without the flash, so hopefully you will get an accurate view of the bike. 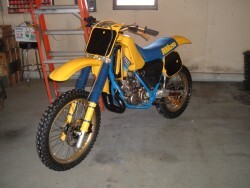 Looking for a Stock Front Fender and Brackets! Please put Yamaha Parts in Subject Line when Responding! 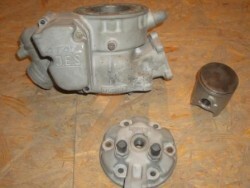 I have some 1984 & 1985 CR 250 Honda parts for sale. If you are interested email me for prices and photos. 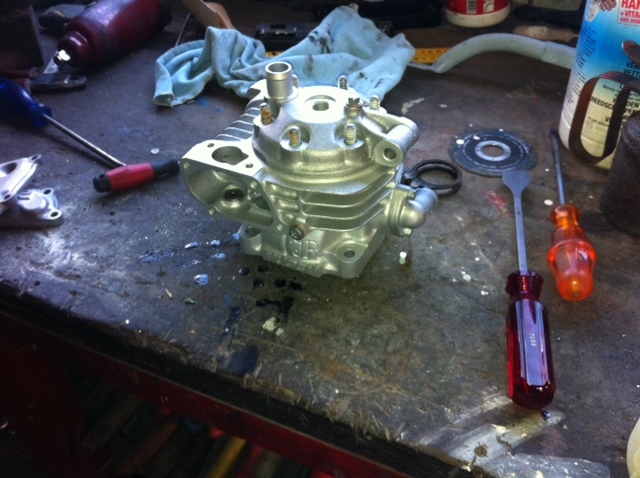 came from running bike but needs new nicasil and piston. was welded ones on the left side. sport pipe's preferred like Kerker. or MAC. im not a collector. just like to ride. CYCLE MAGAZINE, June 1980, Kawasaki 420 Uni Track missle, Yamaha 650 Maxim, A flashy Four with twin cams and shaft drive: Is that new enough? 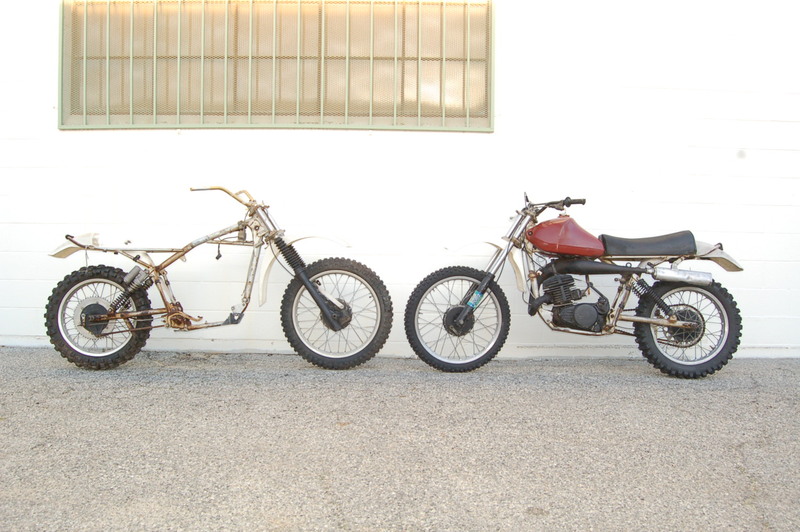 The 73 MPG Fleet, 12 bikes to beat the gas crunch, suzuki GS 250T, a new bike with an unforgettable engine, Daytona supercross, $7. 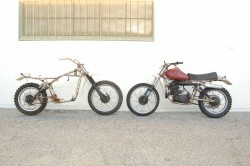 Will Stoner, President of vintage motorcycle event production company Classic Events, announced today that the Saturday, March 12, 2011 Classic Events Swap Meet at the York Expo Center in York, Pennsylvania has been cancelled because of illness in his family. “It is with regret and sadness that we must announce the cancellation of our event March 12th in York, PA We apologize for any inconvenience this action may cause”. Stoner Said. All pre-paid vendor fees will be refunded. And all other 2011 Classic Events productions will take place as scheduled. For more information: [www.classicswapmeets.com] info@classicswapmeets.com, 440-591-5099. 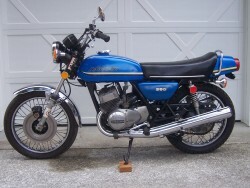 1973 S3 Kawasaki Triple 350. Great original bike that runs well but could use a new clutch pack and fresh points. This bike is 100% original other than the tires. It is a blast to ride and I have clear a VA title. Chrome is incredible with only imperfection a slight battery chem stain on one of the pipes underneath. Pipes are otherwise great and have no rust as does the rest of the bike. There is an area on the tank where someone tried to peck out a dent. 13k miles. The bike is a great rider as is or you can have the paint and decals redone and have a jawdropper.